How often are the carpets in your home cleaned? We’re not just talking vacuuming or spot cleaning here, we mean a really good deep cleaning by a professional carpet cleaning agency. 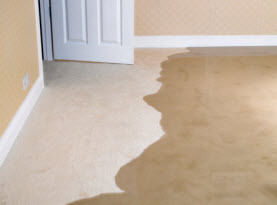 Did you know that carpets are one of the dirtiest areas of your home? This can be a bit alarming considering the amount of time our children and pets spend on the floors each day. Carpets bring a sense of warmth to any home. 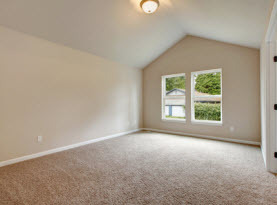 Many people prefer carpeting throughout their homes for a variety of reasons. There is less of a slip and fall risk for homes with young children and the elderly. It is more comfortable under your feet; clean carpet looks aesthetically pleasing and for some it even brings a sense of “home” and comfort. 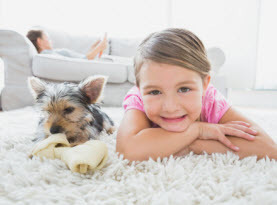 It is recommended you have your carpets steam cleaned by a reputable carpet cleaning company every 6 months to 18 months depending on the amount of traffic your home sees, coupled with the number of pets you have and so on. Following are a few examples of why your home would benefit from regular steam cleaning every year. 1: According to HuffPost, Men’s Health magazine states that carpets are a germ hotspot and are 4,000 x dirtier than your toilet seat! Microbiologist Dr. Philip Tierno, New York University Langone Medical Center, immunologist and author of The Secret Life of Germs even made a statement saying, “Carpets and rugs are botanical and zoological parks,” they are home to many different living organisms. 2: Carpets and rugs are basically giant air filters for our homes. The dust, debris, microparticles, pet dander and dead skin cells from humans become trapped into the fibers of your carpets. Did you know that the air inside our homes has been proven to be 2x dirtier than the air outside? This is why our homes benefit so much from being aired out from time to time, along with a few other home maintenance tasks such as steam cleaning and air duct cleaning. 3: Dust mites thrive in our carpets, it’s the perfect breeding ground for them! We literally provide a hospitable environment for these microscopic mites to live, giving them all they need to survive. For each ounce of carpet dust present in our rugs and carpets, up to 2,000 dust mites can be present. They feed off of the dead skin cells and pet dander left behind on our floors. The contaminants they leave behind becomes entangled with the dust in our carpets that gets stirred up as we walk around which can lead to aggravated allergies and respiratory ailments. 4: Again, Dr. Philip Tierno stated that carpeted areas harbor about 200,000 bacteria per square inch! That’s more than 4,000x that of a toilet seat! Some of the dangerous bacteria that get harbored in carpets are MRSA (Staph), Campylobacter, Norovirus, Micrococcus and various fungi and mold strains to name a few. The good news about all of this not so comforting information we just learned about it this. Steam cleaning is effective at killing 99% of the harmful bacteria and viruses that linger in our carpets! It is also effective at getting rid of dust mites, carpet beetles, dirt, mud, stains and a host of other things too! This is all done by powerful truck mounted state of the art equipment that shoots controlled amounts of steaming hot water into the fibers of your carpets and upholstery to effectively kill the viruses and bacteria that make people sick. Then our powerful equipment then effectively extracts the remaining water leaving your carpets deodorized, sanitized and looking and feeling newer than before! Is it time to have your carpets cleaned? Give us a call today. 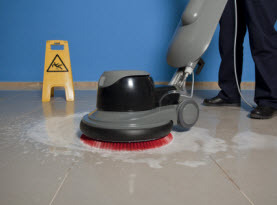 CA Carpet Cleaning & Water Damage Clean Up can handle all your floor and upholstery cleaning needs!